Place 1 wedge honeydew melon on each of 8 plates; top each with 1/2-cup scoop of sherbet. Arrange remaining fruit on top and sides of melon. Serve immediately. 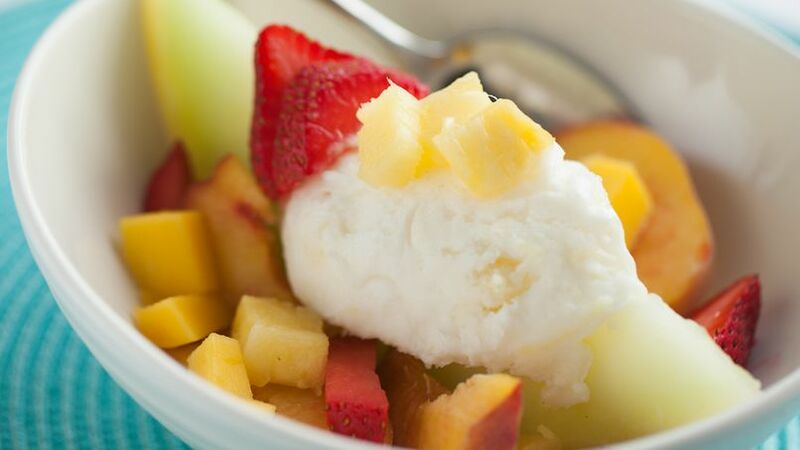 Enjoy this refreshing pineapple sherbet topped with fruits – dessert ready in 15 minutes.